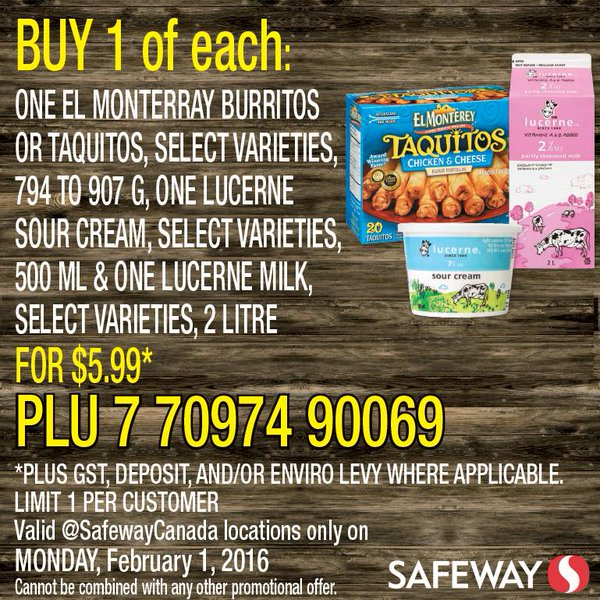 It’s Monday, time for another twitter deal from Safeway. This deal is easy to redeem, pick up the items as shown in the picture. At checkout you can show the picture on your phone, if no smartphone just print it out. The deal is one per person, and each person has to have their own copy of the deal. 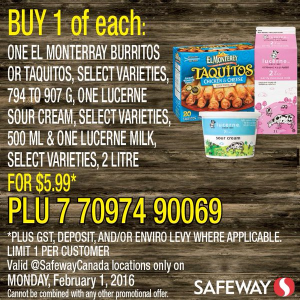 For $6 you get a package of burritos or taquitos, sour cream and a 2L of milk. And remember that it’s a one day only deal – so share it with friends, family, coworkers etc.